Innovative Street Technologies – 2019 ECD True Street Sponsor! When a racer, race promoter & local business owner believes in something so much that they step up to the plate and support a heads up racing class to ensure it’s success, it means the world to not only the other racers in the class but the racing venue and points series. 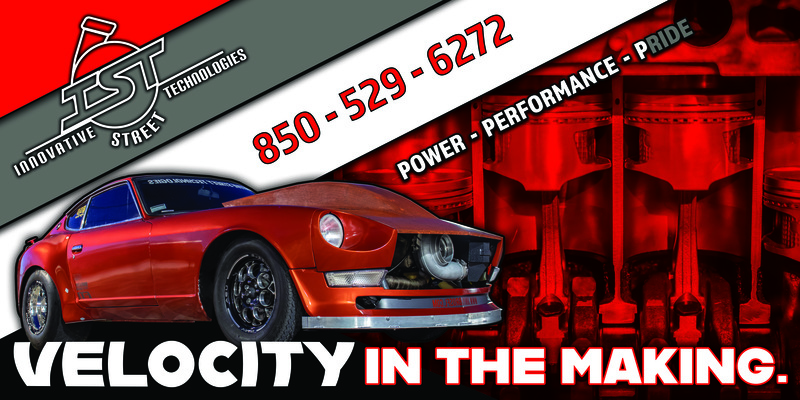 Adam Pettis with Innovative Street Technologies did just that with their support of the True Street N/T class at Emerald Coast Dragway this year! True Street N/T was introduced mid season last year at ECD with the South Coast Heads Up Series on a prepped surface and ran all of 2019 with the Tri-County Grudgefest on a no-prep surface. For 2019 it’s included in the points series with SCHU as well as ran at all of the TCGF No-Prep races, long story short it’s a good year to have a true street car! SCHU TS N/T rules & info can be found HERE.